First, make sure to check-in before you even step foot at the airport. Most airlines allow you to check in 24 hours before your flight, so definitely take advantage of that! By doing so, you won’t have to stand in a ridiculously long check-in line. When you check-in online, save a copy of your boarding pass to your digital wallet. This digital ticket is much handier than a paper one. I don’t know about you guys, but when I’m at the airport, I’m juggling a bunch of different items, so to have my phone and my ticket in the same place is extremely helpful. This last “check-in” tip is also a pre-airport suggestion. Nothing is worse than getting to the counter and finding out your luggage is four pounds over the limit. So then you have to open up your suitcase in front of everyone and try to shove four pounds of T-shirts, hair brushes, and flip-flops into your already bursting carry-on. That’s definitely not the ideal. So weigh your luggage beforehand! If you’re at home, this is pretty easy. Just hoist you bag onto your scale. If you are traveling though, and you’ve just bought an absurd number of souvenirs, this can be a little more challenging. Instead, purchase a handheld luggage weight scale and take it with you! That is half a pound put to good use! Pro Tip: Use a light-weight suitcase! As I mentioned in my “How to Pack Light” post, duffle bags are much lighter than hard shell bags. These will give you more weight for items to actually put inside the suitcase. Don’t even know where to start when it comes to packing? If you’re headed to Hawaii, here’s a list for ya. Airport security can be such a struggle sometimes. But this tip can also happen pre-airport. Wear a sweater instead of a sweatshirt! For some reason, the TSA agents will make you take off a light sweatshirt, but not a light sweater. Why? Beats me. Second, make sure to put your Ziploc bag full of liquids at the TOP of your carry-on for easy access. That makes it a lot easier, so you don’t have to furiously sift through your bag while holding up the security line. Lastly, make use of that personal item! I’ve noticed that guys especially tend to just have their one main carry on and no personal item. However, bringing a personal item makes it way easier to get through airport security! It helps when you need a quick place to put your phone or loose change before going through the metal detector. Pro Tip: In the US, there is always the paid option of TSA Precheck. When purchasing this service for around $85 I believe (and, of course, passing a background check), you can go through a separate security line where you leave everything in your bag (including your laptops and tablets) and keep your shoes and sweatshirts on. For some, boarding the plane may actually be the most hassle-filled part of the airport experience. “Is there going to be space for my carry-on in the overhead bin? ?” Well, here are a couple tips for that too. First off, pay attention to your boarding group. Don’t be that person in group 4 who tries to board with group 2. Nah man. Just board with group 4. Not group 5. Group 4. Second, actually try putting your carry-on under your seat. Like I know it looks like there is absolutely no space there, but I’ve seen people successfully put hiking backpacks under there, so your oversized bag of souvenirs will fit just fine. 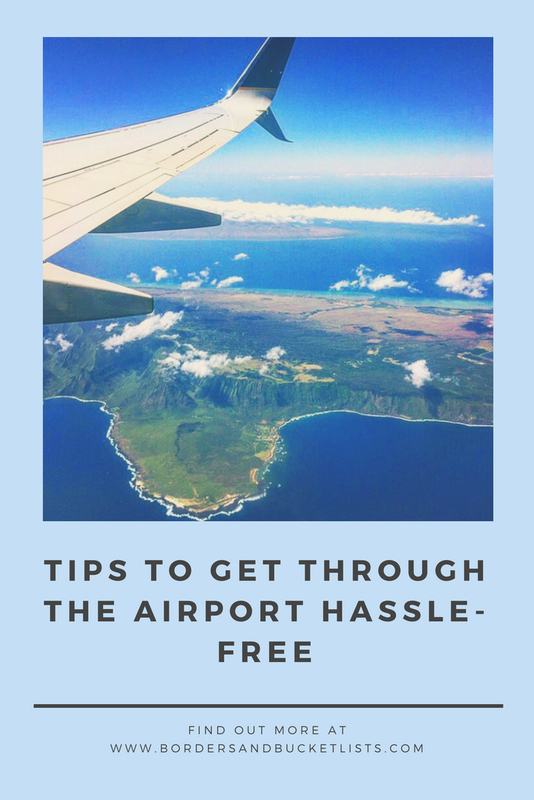 Any other tips to get through the airport hassle-free? Write them below in the comments! Great tips! I’ve noticed through my travels that some countries will allow you to check-in to your flight 36-48 hours ahead of boarding so it’s worth checking the airline’s policy. ooh really? That’s really good to know! Thanks for the tip! I just always allow for plenty of time. Sometimes security takes forever and sometimes it doesn’t. I remember international flights departing from O’Hare airport in Chicago have a long security line and then the walk is long because the terminal is huge. So I’ve always been glad I allowed myself more time there. Good to know. I’ve actually never been to Chicago, so I’m going to keep that in mind. I’m very much the kind of person who tries to tackle LAX in 45 minutes (which I have done quite easily before). It probably is quite risky though, so extra time is always a good idea :). Oh no!! That’s always such a struggle. Great tips & breakdown for first time flyers! It will defs cut out a lot of the hassle for people if they follow your guide! Wonderful tips of going through the airport! Don’t forget to empty the water bottles and take out the laptop from the bags. I see flyers who forget these things. TRUE! I’d forgotten about those! Good tips. I noticed that some airport security make a fuss when your ziploc bag is too full. But with my afro/curly hair, I need to bring as much hair product as I can. Wow I’d never noticed that before – good to know! thanks for the tips! I also try to avoid wearing bulky jewelry/watches because it’s such a pain getting through security! I once had bobby pins in my hair which set off the alarm! No way! I would totally forget about those little bobby pins lol. Great tips! I get so annoyed that I have to take off my thin sweater for the TSA officers…drives me crazy! What? Wow I’ve never had that happen to me before, but it drives me crazy when they ask me to take off my sweatshirt lol. Great tips! I always plan my (never stylish) airport attire around security, shoes that slip on, never a belt, and my jacket is off before I even get in line. Same!! We’ve got that system down lol. Love this! So simple to follow. Really useful tips, especially online check in. I always make use of online check in since then this facility started 🙂 I never knew about the sweater tips, although sweatshirts are way more comfortable, but I’ll remember this tip in mind. Thanks for sharing. Of course! Glad it helped! Nice tips, I’m a huge fan of checking in online.TSA PreCheck is $80 and so worth it. 🙂 If you have Global Entry, ($100 but free with some credit cards) it includes TSA PreCheck. What?! I had no idea it was that cheap. Maybe I’ll register for it. Great tips, especially the liquid in the bag ready to go. And men having that personal item for all the stuff in their pockets. Thanks! Your post has given very valuable information, It is looking such a creative post and you are explained your post in details, which is very easy to understand. 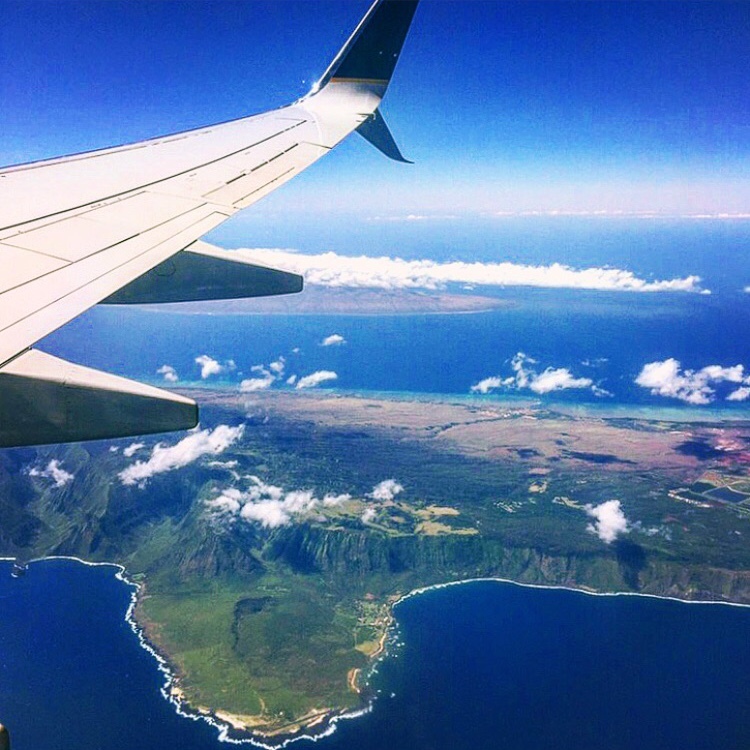 Previous PostPrevious What Is the Best Hawaiian Island to Visit?